What does a liberal arts education look like? What does a liberal arts education at Hope look like? There are 3,150 students at the college this year and just as many ways to answer those questions. What follows are the stories of three of those students and one recent graduate, scholars with active minds who have made the most of the opportunity that they have found at Hope to explore varied interests deeply with the world around them in mind. Trying to separate Ismael Byers’ story into distinct threads — language goes over here, identity is over there; this one is medicine, that one is public health — is impossible. The threads overlap and intertwine and weave together in ways that can’t be easily separated. So how can we describe Byers? He’s a graduating senior from Clarkston by way of Grand Blanc (both in Michigan); an Afro-Latino son of Spanish-speaking immigrants from Panama who didn’t really learn Spanish until high school and college; a prize-winning documentarian who wants to work in medicine and public health; and an introspective student who’s learned to be at home with himself and who feels a relentless pull outside of himself to help others, especially those on the margins. Byers came to college, as many do, with no clue what to do after graduation. “It started off really confusing and muddy,” Byers said, in part due to his bicultural identity. “I grew up as an Afro-Latino not really feeling like I had a place either being black or Latino.” Growing up, he felt ostracized, and his identity crisis compelled him to become conversant (he’s hesitant to say fluent) in the language his parents spoke at home but never formally taught their children. Accordingly, he decided to pursue a Spanish major and, eventually, to study abroad in a Spanish-speaking country where he’d be able to hone his language skills — and get some hands-on experience in hospitals and clinics as part of his second major, biology, which itself overlaps with his pre-health career track in preparation for medical school. For Byers, language and medicine go hand-in-hand. His family pediatrician, from Argentina, spoke his parents’ native Spanish and provided a level of care that many Spanish-speakers can’t find in a primarily English-speaking health care field. Byers wants to give others the same gift. 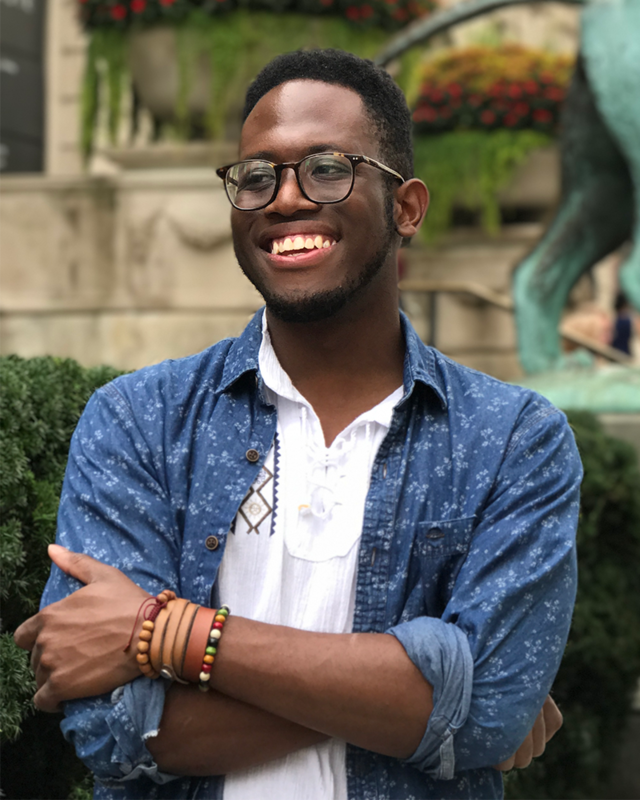 Before he left for a semester in Santiago, Chile, though, Byers found a job doing literature review work with Michigan State University’s medical school in Flint, where he focused on the water crisis, child health and community research. To his surprise, he started to fall in love with public health. He figured he’d use his time in Chile as a sort of experiment. He’d do some clinical observation and see what he wanted to do more: medicine or public health. But his study-abroad experience wasn’t quite what he expected. His clinical experiences reinforced his desire to provide patient care and, at the same time, made him question even more whether clinical health care alone is enough to adequately address health issues. Most notably, Byers saw a lot of inequities related to the language barrier. “Language is a public health issue,” he said. He didn’t just see it in Chile or with his pediatrician on the east side of the state; he sees it in Hope’s hometown of Holland, Michigan, where he volunteers weekly at the free health clinic, providing education and translation for diabetic patients who speak only Spanish. Byers wants to close the disparity by being a bilingual practitioner and working to resolve systemic issues in health care. “I decided I’m going to do both. The social problems in the field of medicine inspire me to pursue medicine and public health to address health disparities for all patients — for those who speak Spanish and for others who feel left out,” he said. Working for the underserved in health care may start with language, but Byers says his skin color and a growing empathy for those in poverty are part of it, too. “I want to work for the underserved,” he said. Overall, Byers says his experience in Chile was difficult — it was good, yes, but also painful. Byers describes it as “probably the loneliest time of my life.” But even loneliness can be valuable. That theme was the subject of his award-winning documentary about his experience in Chile. As reported in the winter issue of News from Hope College, the film, Solitude: A Companion Abroad, won the grand prize in the 2017 IES Abroad Study Abroad Film Festival. “I’ve learned to practice self-analysis and self-reflection,” Byers said. The clarity he eventually found came in part from the opportunity that his semester in Chile had provided to look inside, and to his past. “If I can use my identity to help people who feel marginalized by an unfair system — whether that’s the government making decisions on behalf of a community to their harm, like the water crisis, or neglecting immigrants because they speak only Spanish — I hope to be that bridge, and to be the bridge between medicine and public health,” he said. After he graduates, Byers is planning to take a gap year to see more of the world before he attends medical school, where he’s considering adding a master’s degree in public health as a graduate-level dual degree. It’s a path that the freshman who arrived on campus in August of 2015 wouldn’t have predicted, but which the past four years and a lifetime of experience have made clear. Wherever Hope College junior Irene Gerrish set foot in Athens, Greece, last fall, the lingering vapors of democratic musings seemed to brush against her, inspiring her to a deeper understanding and appreciation of millennia-old notions on democracy. For voting, jury selection and freedom of speech, Gerrish knew to thank the Greeks. It was in Greece, after all, that the concept of representative, elective government was born roughly 27 centuries ago. So there, in the birthplace of democracy, Gerrish could hardly believe her good fortune. An economics and political science double major, she was among just 24 students from 13 countries chosen by the Global Liberal Arts Alliance, of which Hope is a member, to attend the New York Times (NYT) Athens Democracy Forum, an international event whose participants also included former United Nations Secretary General Kofi Annan, senior government officials from around the world, international business executives and leading journalists from the NYT. There, in Athens for a week, she pondered the endurance of world democracies during these unique and challenging times. There, she walked ancient Athenian ground, listened to new-millennial minds, and then readily chimed in on panel discussions with her own insights on democracy and its future. It could and it would. Gerrish is still living her best life, one any young political wonk with aspirations to change the world could want. This time, though, she’s living it in Washington, D.C., as a student on Hope’s Washington Honors Semester this spring. If Greece gave democracy its birth, then it can be said that America made it famous. And the most famed symbol of democracy is the U.S. Capitol. 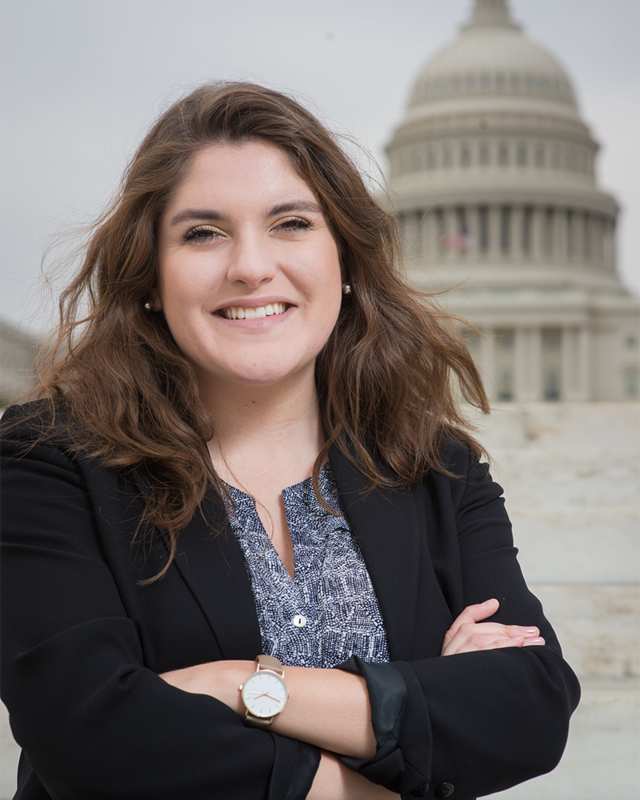 Gerrish made a beeline for an internship there, working for Michigan Senator Debbie Stabenow’s office. The 20-year-old intern primarily writes policy memos on tax and finance matters, but she also must tend to quotidian tasks, like answering constituent phone calls. Even then, when communication is routinized to ensure consistency of information, she appreciates the necessity and difficulty of it all. Everyone should work in politics at least one day of their lives, she thinks, just as those who work in the restaurant industry feel everyone should wait tables for a long shift, too. Then, anyone who has ever complained about the warmth of their food or of their politicians will get a taste for the complexities of service to all. Gerrish is not trying to easily explain away the reality of how hard it is to govern. Living and learning on the D.C. Honors Semester, under the direction of Dr. Jeff Polet this semester, has reinforced the humanity of those trying to lead a wounded country. Many view Congress as an uncooperative and dysfunctional bunch; Gerrish, who describes her political views as centrist to left-leaning, sees most U.S. politicians as hard-working and sincere. Playing viola at Hope is as important to Gerrish as reading The Economist, her favorite magazine. She has a wide-ranging, liberal-arts way about her. But it is politics that capture her imagination. Like a sports fan who can name team’s offensive linemen in a crowd, Gerrish knows exactly who Senators Markey, Hirono and Booker are and which states they represent. Those senators may be obscure to some, but to Gerrish, each is an essential, familiar and celebrated cog in the U.S. political system. And maybe, just maybe, she will be one someday, too. Perhaps she’ll run for office, but she’s also interested in working for the Treasury or the Fed or a policy think tank like Rand Corporation. She is ready to roll up her sleeves to go to work anyplace where she can “be part of a process that lends itself to optimal human flourishing,” she says. In Athens and in D.C., Gerrish confirmed that democracy is that process. It is a rare person who can say he or she has ever founded anything new or necessary or unique in a lifetime. It is a rarer person still who can say he or she founded anything at the age of 20. Meet Taylor Mills ’17, a rare person. For its first two years, UNRH was hosted at Davidson College and Washington and Lee University, since two of Mills’ co-conspirators in UNRH’s creation were students there. This year, with Mills on Hope’s staff as the Post-Baccalaureate Fellow for the Mellon Scholars Program, UNRH was hosted at Hope. “Thirty-two students from nine countries and a bunch of U.S. states all converged at Hope and it was just really exciting to see them here,” Mills says. 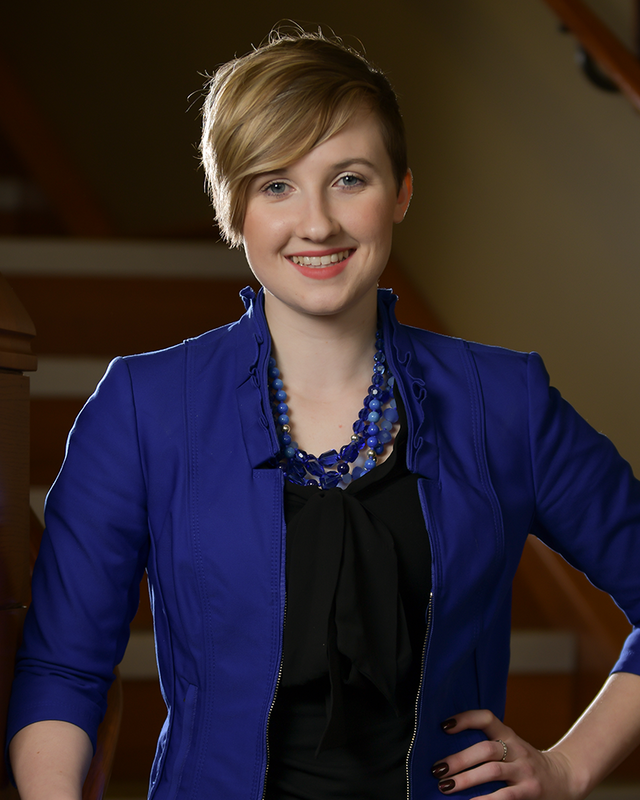 Besides her post-graduate role at Hope, Mills is also working for Lighthouse Immigrant Advocates, a non-profit law firm in Holland, as their community coordinator during her gap year between Hope and either law or graduate school. Delving into matters of social justice is another Mills interest, one that again gives others a platform to find their voices. 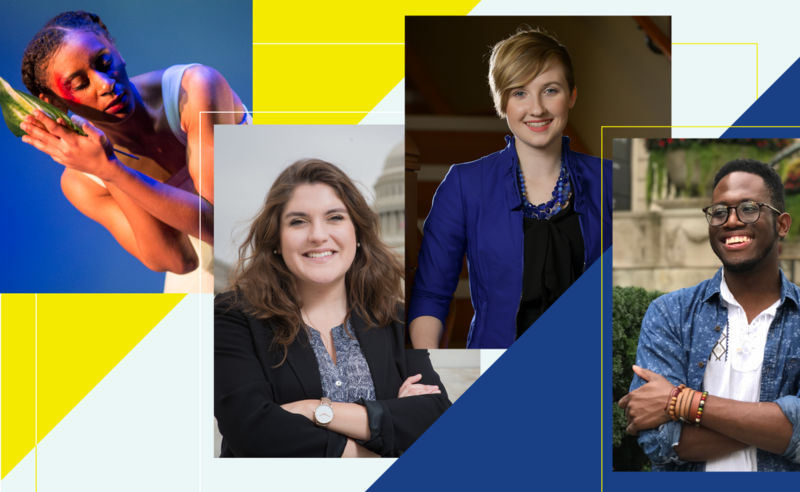 She believes strongly in the ability to have a say in the future, whether one is an undergraduate liberal arts student or an immigrant seeking citizenship. It can be said that the once self-described “shy-and-quiet” Mills is now anything but. Her own vision and voice, admittedly discovered prior to her undergraduate years but strengthened by her Hope education, have a clarity of purpose, seen through multiple lenses and uniquely Millsian. And as she’s always done, Mills is willing to share both. Her only recollection of him was at a funeral. His funeral. Nia Stringfellow hazily remembers paying her last respects to Allen Stringfellow, her great uncle, when she was 7 years old at an art-gallery-turned-funeral-home in Southside Chicago. As it turns out, it would not be the final time the younger Stringfellow would honor her elder. Since the fall of 2016, Hope College senior Nia Stringfellow — an exercise science major, dance performance minor and Mellon Scholar — has researched and revealed a man she barely knew. That Allen Stringfellow was a prolific African American artist in the mid-20th century could have been reason enough for Nia to bring his story to more prominent light. That he happened to be a family member, well, that was an endearing, added bonus. “The Man Who Wore Red” is what they called Allen Stringfellow, and that is the title of the research project Nia presented at three different academic conferences in 2017-18 from Atlanta to Chicago to Holland, Michigan. Red was the color that defined Allen’s daily wardrobe “because it was powerful to him,” explains Nia. But it was Allen’s watercolor and collage art of daily African American life — depicted peacefully and joyously at church, jazz clubs, picnics or busy streets — that was powerful to Nia. In them, she finds the emotive representation of a culture she knows well, if not the man who painted it. In them, she sees art, and a great uncle, who bear witness to enduring social activism created from a highly expressive palette of and for all colors. The research was not easy. Information about Allen’s life was not laid at Nia’s feet, the primary tools she uses to brilliantly learn and move on point as an artist herself. “It took a lot of digging,” she says, to find a good number of images of Allen’s works and stories about his life. The Internet or printed texts were not rife with them. But her great aunt Shirley was. In her home in Montgomery, Alabama, Shirley provided Nia with an oral history about Allen “and our family on that side that I didn’t really know too well. And maybe some information that I wasn’t supposed to know,” she chuckles. While Nia’s research was personally satisfying, the main reason she undertook the project was to make Allen’s art and life relevant for all audiences. 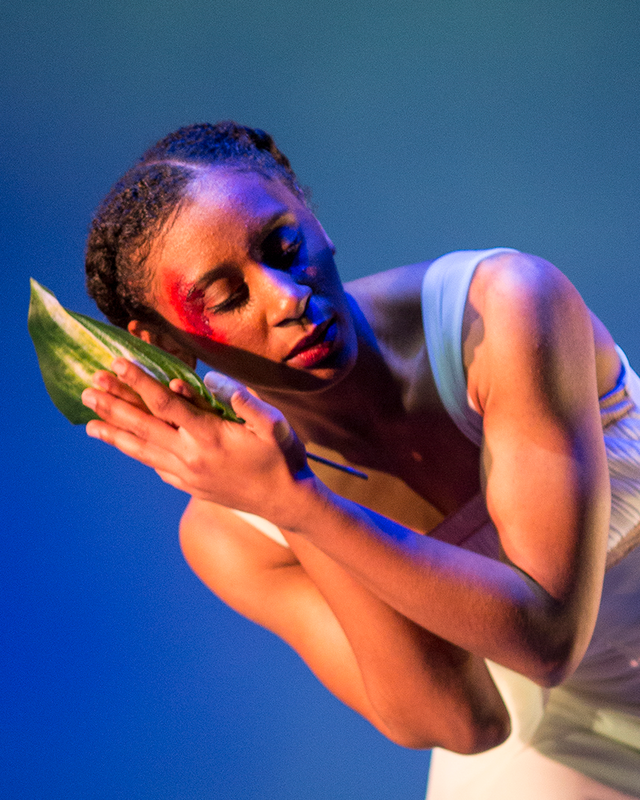 Professor Linda Graham, her Mellon advisor, prompted her to do so because “Nia’s intellect and experience as a dancer and artist provide her with a unique empathy, an understanding through embodied perspective, as well as the ability to perceive, abstract, explore, shape and form a narrative in an organized multimedia way,” Graham says. “I’m just incredibly grateful to have had this opportunity through the Mellon Scholars Program to perform historical research that I would not have had as an undergrad in other places,” says the Frankfort, Illinois native. With a major housed in the social sciences, a minor in the arts and research in the humanities, the pragmatic and intuitive Stringfellow is as well-balanced a scholar as she is dancer. Even as she was researching and presenting “The Man Who Wore Red,” Stringfellow was also creating and performing a solo work of art of her own. Called “The Will,” it is a potent piece in classic modern technique expressing tenacity of will in the face of oppression. Stringfellow debuted the work at a student dance concert in spring 2017, then presented it again two months later at the Centre de Danse du Marais while she was studying on a May Term in Paris, France. Subsequently, “The Will” and a work by senior Emily Mejicano-Gormley titled “Memory” were combined and selected for adjudication at the regional American College Dance Association conference in March. “The Will/ Memory” became one of the only 11 pieces chosen for the event’s Gala Concert and one of the only two alternatives from the region for the national ACDA festival.